Embark on a musical journey as we follow the heartbeat of an awakening forest from dawn to dusk. 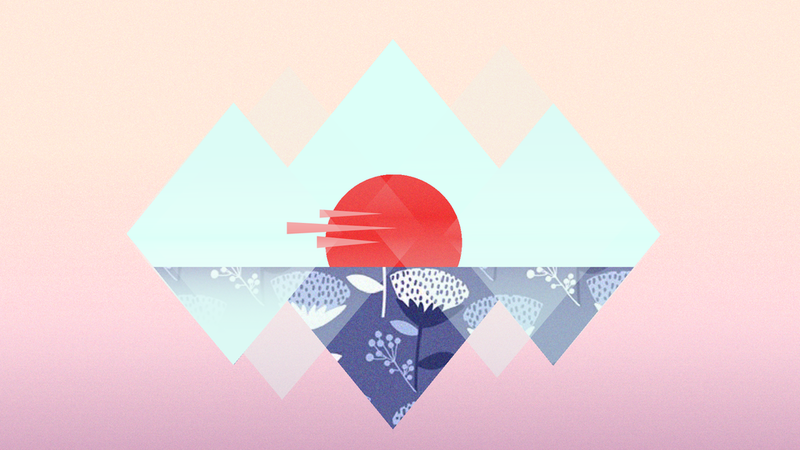 "Bloom" is an animated short film I designed and directed, in hopes of elevating the viewer’s appreciation for nature and environmental awareness through a visual music experience. The purpose for this project is to accentuate the beauty of nature and animals, and infer the important issue of sustainability. “Barcarolle” by Jacques Offenbach is a sentimental yet dramatic piece that well-represent the dynamic quality of mother nature. For this piece, the story was heavily driven by the music score. 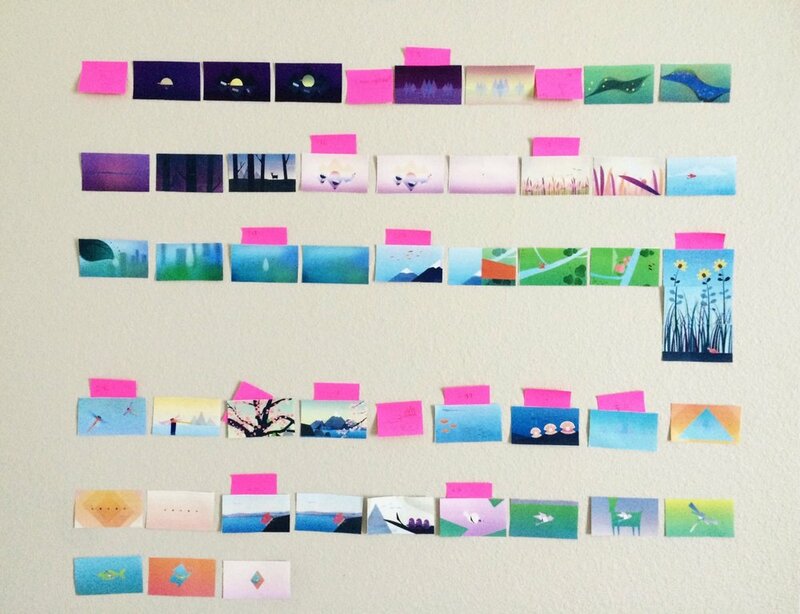 In order to sync visuals to the music, I printed out the design frames all together to look at the big picture. Following the musical rhythm, I arranged the design frames in a rough sequence, brainstormed new designs and transitions, then constructed a story based on the change in tone and tempo. I selected a vibrant color palette to create different atmospheres across various times of the day in the video. The animal silhouette designs are inspired by Japanese origami. “Bloom” has been screened at various film festivals, including Animafest Zagreb at Museum of Contemporary Art Zagreb, Los Angeles International Children's Film Festival at Los Angeles County Museum of Art, Sight of Sound Film & Music Festival at Dallas City Performance Hall, Cinemagic Festival in Belfast, UK, International Women's Film Festival "KIN" in Yerevan, Armenia, MUMIA (Mostra Udigrudi Mundial de Animação) in Belo Horizonte, Brazil, and more. Live orchestral screening with Dallas Chamber Symphony at Dallas City Performance Hall. "Bloom" displayed on Zagreb's Museum of Contemporary Art three-panel media façade at Animafest Zagrab 2017.